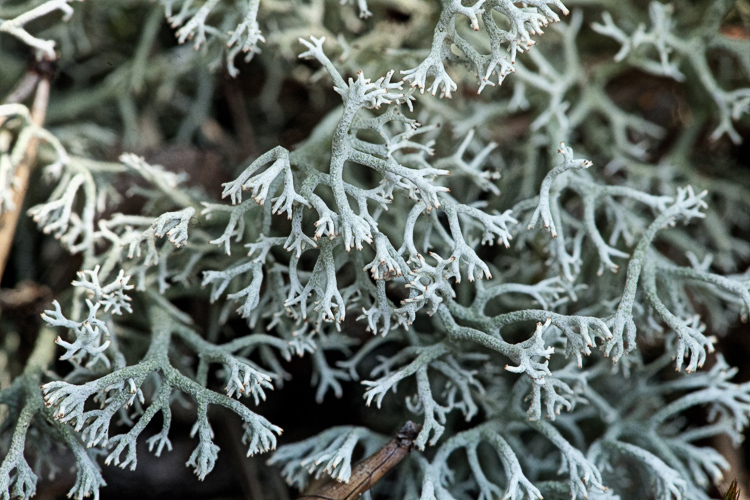 DIAGNOSTIC FEATURES: Abundantly branched, tangled cushions; main axes usually evident; cold gray-white color; ecorticate, webby surface; branchlets in whorls of three and four; atranorine; compare with C. subtenuis, mostly Y-branching; axils mostly closed, C. arbuscula greenish or yellowish gray, axils open, and C. furcata which is corticate, also none of these has atranorine. 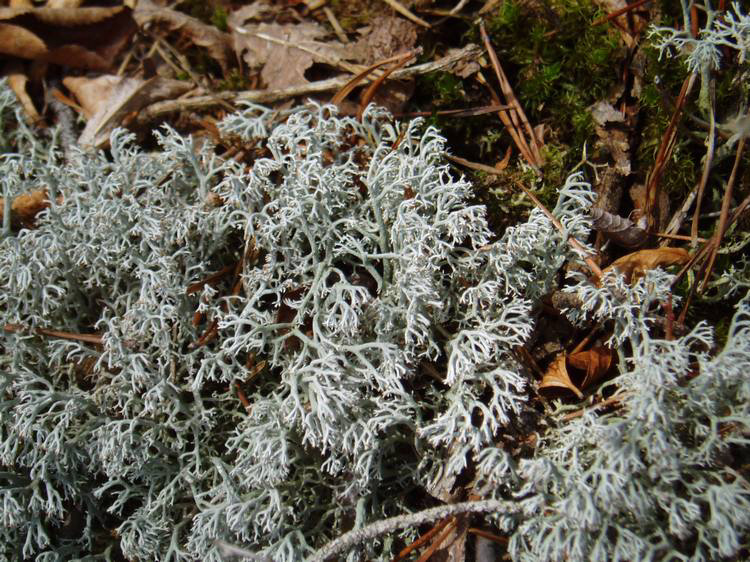 ECOLOGY: General distribution is Appalachian-Boreal; rather common in southern counties of Ohio, on soil almost exclusively, often among mosses. 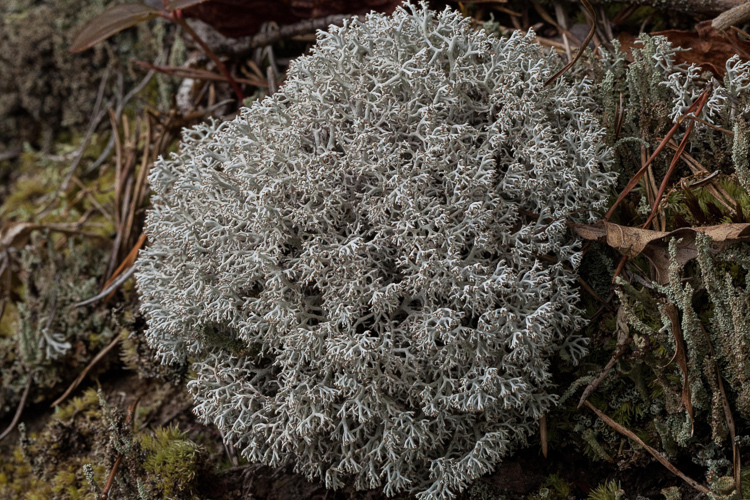 A common component of the “lichen-ericad” association at the top of sandstone cliffs in southeastern Ohio.